There is no doubt about the fact that kitchen islands are becoming more and more popular across the world and Pakistan is no exception. The ultimate convenience these kitchen islands have brought in food preparation and all other culinary chores is what has made them so popular. 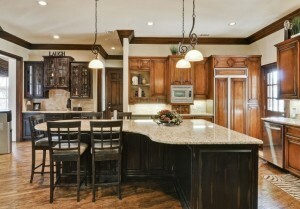 Today kitchen islands are no longer just islands that are designated just for preparing food. In fact, they have become the hub of kitchen life. Now the space in the middle of your kitchen that was once left empty and useless some years back is being utilized to its maximum potential by the kitchen islands. Besides, this smart addition to every home’s kitchen has given the cooking space an amazing look with an inviting impression. 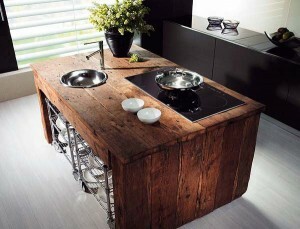 That’s why kitchen islands have become an essential part of modern house designs in Pakistan. Here is a guide from Amer Adnan Associate that will acquaint you with the latest kitchen island trends in Pakistan and other countries. The shaped islands come in many different shapes with all of them not being square. The kitchens with a unique shape that blends into another room are furnished differently as compared to the regular shaped kitchens. Since adding value to your kitchen’s aesthetic appeal is the primary objective of any home owner therefore, it’s not a bad idea to consider an island in shape that follows your kitchen’s curvature. The S-shaped, Horseshoe and Circular kitchen islands are some of most popular island shapes that are creating huge waves in the present day. The reclaimed islands are not just about the vintage kitchen jars, but are also about creating an island based on the found items like porcelain signs, metal utensils, wooden pallets and more. The reclaimed wood or a bit of modern marble can be used for creating a rustic-modern kitchen island to make a statement. As the name suggests, these islands have the stoves integrated within them. Although some people consider this technique impracticable because the chances of spilling oil or liquid foods on either side of the island are quite high. However expert interior designers in Pakistan recommend having stovetop islands in modern day kitchens, as this helps reserving counter space for other activities. 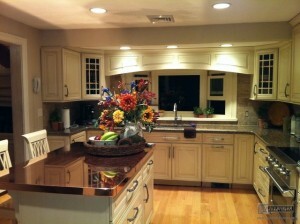 On top of it, stovetop islands makes you feel like a star chef of a cooking show. These L-shaped islands don’t just look elegant, but also help you create a dining nook in kitchens that have limited space. The innovative dine-in islands come with built-in seating that is just beneath the island. The trend of using islands as dining tables with fixed or portable chairs is warmly received by the home owners. 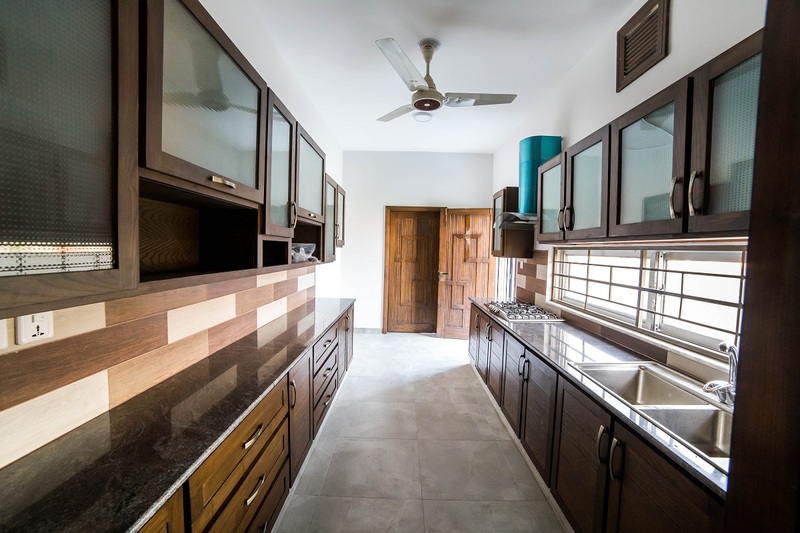 It is why modern home construction in Pakistan includes dine-in islands, which has made kitchen an ultimate heaven for both cooking and relishing food. As the name implies, the sheet metal countertop kitchen islands come with tops that are made out of metallic sheets. 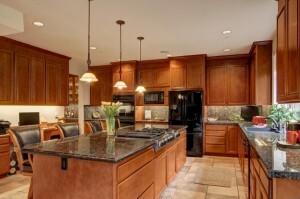 The metallic countertops give a stunning look to the kitchen by creating that luxurious and welcoming feel.